Just as we got over Lohri, Pongal has arrived. Pongal, one of the important Hindu festivals, the term ‘Pongal’ in Tamil means “to boil”, and this festival is celebrated as a thanksgiving ceremony for the year’s harvest. It’s the name of the special sweet dish cooked on the Pongal day. 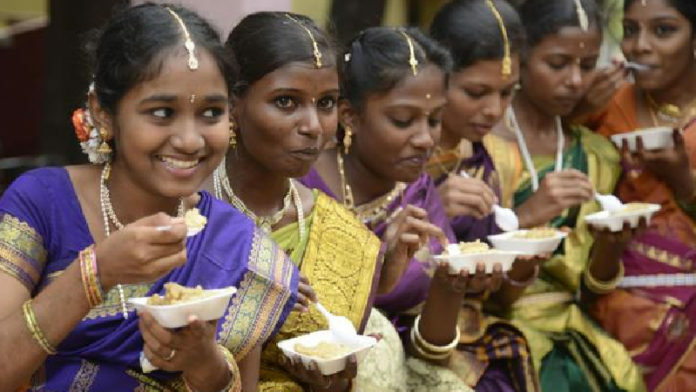 Pongal continues through the first four days of the ‘Thai’ month that starts on January 14. 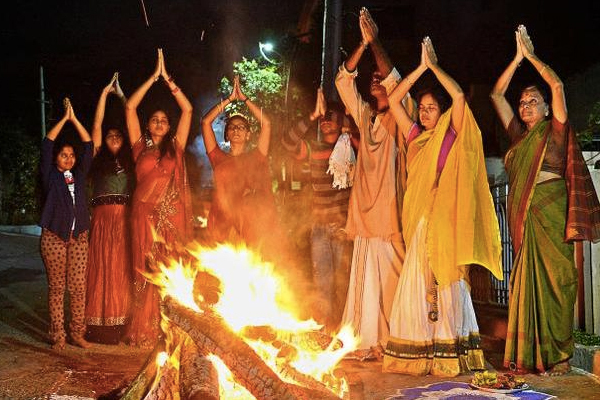 Bhogi Pongal is celebrated in honor of Lord Indra, “the Ruler of Clouds and Giver of Rains”.A huge bonfire is lit at dawn in front of the house and all old and useless items are set ablaze, symbolic of beginning a new year and fresh beginnings. Houses are decorated with floor designs drawn in the white paste of newly harvested rice with outlines of red mud. The second day is dedicated to Lord Surya, the Sun god.A special ritual is performed where rice and milk are boiled together in an earthen pot, to which a turmeric plant is tied – out in the open as an offering to the sun god. Another aspect is ‘Kolam’, where an icon of the Sun God is handmade with lime powder. This is worshipped for divine benediction as the new month of ‘Thai’ begins. This third day is meant for the cattle (‘Mattu’) – the giver of milk and puller of the plow. The farmer’s friends (cattle) are given a bath, their horns are polished, painted and covered with metal caps, and garlands are put around their necks. 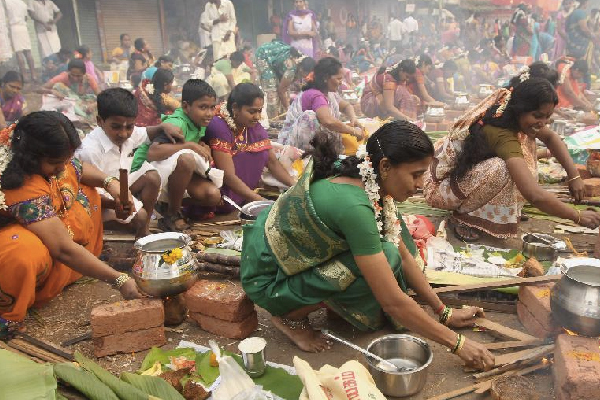 The ‘Pongal’ that was offered to the gods is then given to the cattle to eat. 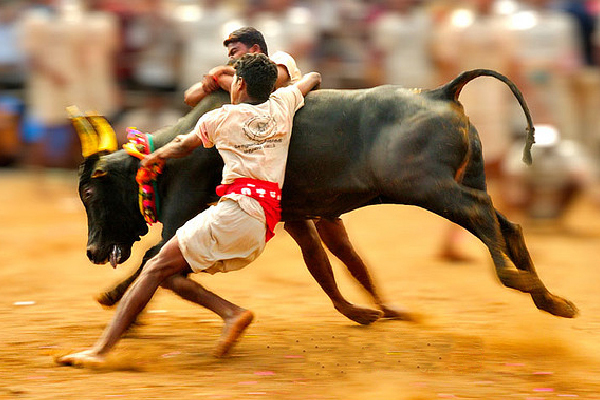 They are then taken out to the racing tracks for cattle race (Jallikattu) an event full of festivity, fun, frolic, and revelry. The fourth and final day marks, the Kanya Pongal when birds are worshipped. 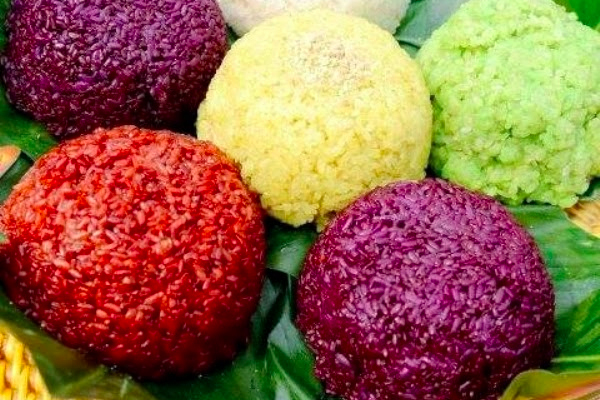 Girls prepare colored balls of cooked rice and keep them in the open for birds to eat. On this day sisters also pray for their brothers’ happiness. We would like to wish you all a very Happy Pongal!